The Moonstrap is Ticket to the Moon´s newest suspension solution through combining tree-friendly properties, small packing size, higher durability and higher load. You can install the Moonstrap on any sturdy object, slippery surfaces, trees etc... 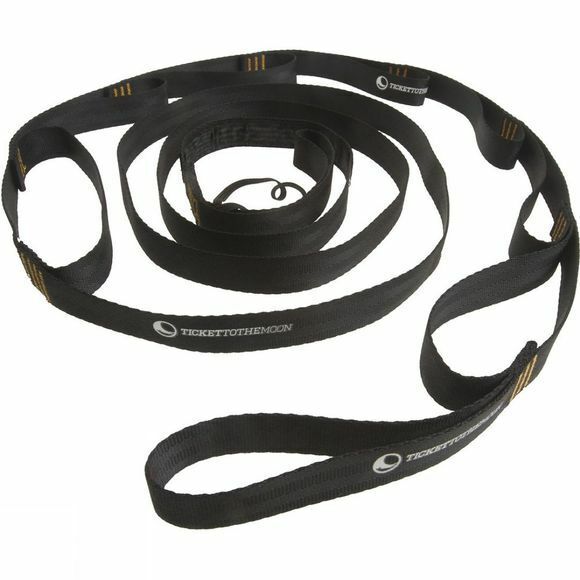 The strap is 2 cm (0,79 inch) wide and 2,60m (8´6") long, comes with 9 attachment loops and is the ideal choice for your Mammock Hammock or any other heavy load projects! As all TTTM products, a pair of Moonstrap comes in an own pouch so that you can take them anywhere.